Bill Trombly offers professional duct cleaning services for homes and businesses. Our professionals use Rotobrush air duct cleaning technology. You will be left with the assurance of fresh, clean, and virtually contaminant free air. Poor indoor air quality (IAQ) is one of today's top five environmental health risks, and over 90% of all homes have at least one indoor air quality issue. These contaminants could be lurking in your air ducts and re-circulating throughout in your home through your central air system. Dirty ducts can cause respiratory irritation, headaches, allergies, fatigue — plus a decrease in the life and efficiency of your home heating and air conditioning system. We combine proven techniques with video-assisted Rotobrush air duct cleaning technology. Our advanced cleaning method is the only one available that brushes and vacuums at the point of contact, eliminating the use of harsh pr toxic chemical cleaners. Step One: The process begins with the Rotovision Video Inspection system. We are able to see the state of your ducts and identify the big buildup areas. Step Two: We remove all of the vent covers in your home, giving them a good cleaning to remove contaminants and sticky films that cause them to collect more contaminants. Step Three: We use the Rotobrush professional cleaning system. This powerful brush scrubs the surface of your ducts and directly vacuums up all of the materials it loosens. HEPA filters ensure that contaminates do not get returned to the air. Dry air can be the source of many ailments and can make your home an uncomfortable place to be. To improve dry air conditions, we recommend the Aprilaire Automatic Humidifier system. 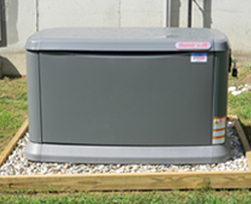 Installed as part of your heating and cooling system, it uses patented technology to adjust to outdoor temperatures and provide optimum moisture levels throughout your whole home.